'Tis the season to see a holiday show in the city! 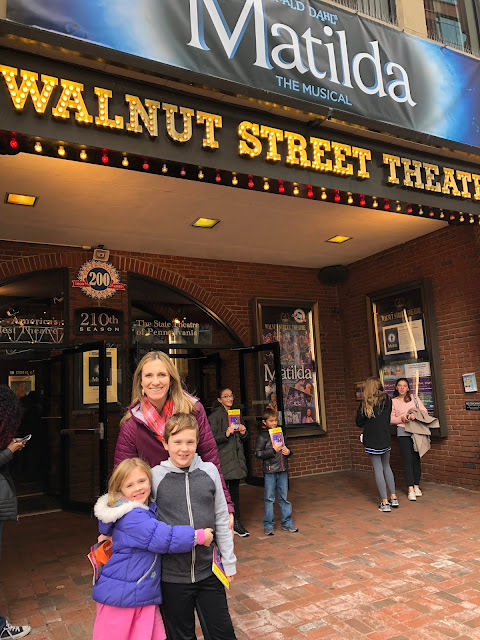 We were so excited to see The Christmas Carol musical at the Walnut Street Theatre in Philly this weekend. The show is just perfect for kids since it's only 1 hour, offers late morning show times, moves pretty quickly and has a few fun songs and surprises in it. Thanks to the Walnut Street Theatre for providing our family of 4 with tickets to the show. Grandma was kind enough to watch baby sister since a quiet theater is no place for a squirmy 8 month old. Plus, it was fun to be able to enjoy a musical with the two older kiddos. So the 4 of us piled in our minivan (yes, I said minivan, we succumbed to the stereotypical parenting vehicle for our new family of 5! 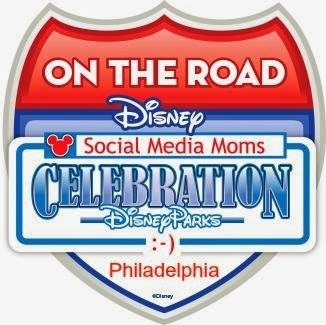 ), and drove to Philly for the 11am show! 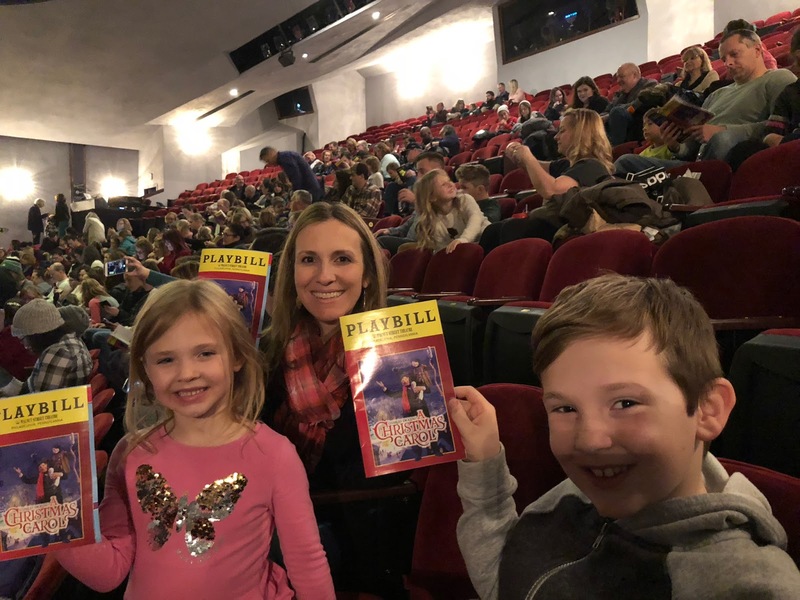 We each got a playbill and talked about The Christmas Carol story (Little Gal wasn't too familiar with it. Little Guy remembered seeing it on TV I think). The stage was decorated for their other, longer running show, Matilda, with part of it decorated for The Christmas Carol. The Christmas Carol is obviously has a shorter season since it specifically runs around Christmas! The lobby of the theater was decorated so festively. Little Gal gave it a thumbs up. 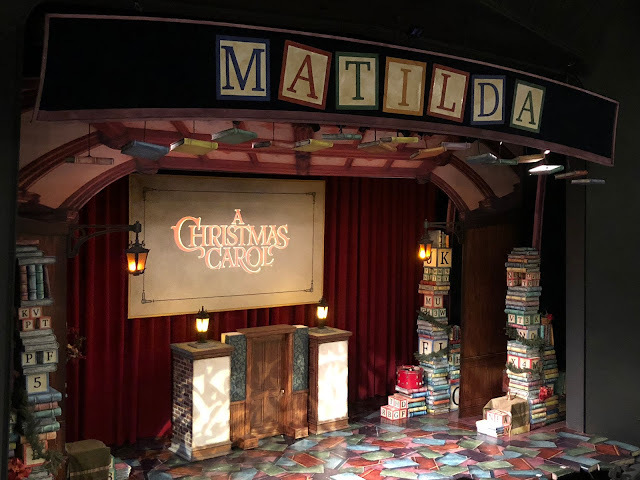 I have to say, Little Gal was a little scared by the ghost of Marley and the ghost of Christmas Yet to Come, but the play was so lighthearted, quick moving, and had a happy ending, so she said she just loved it at the end. 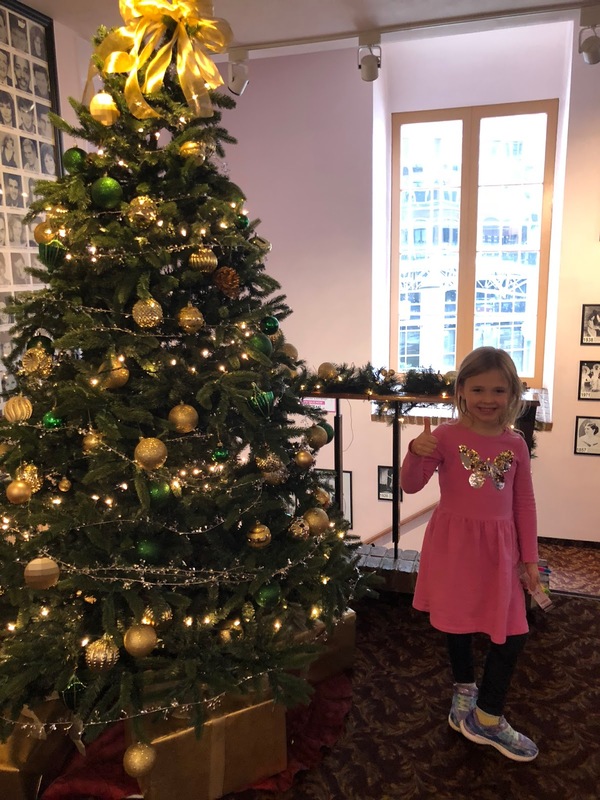 We had to get home to baby sister, but if we could have stayed in the city longer, we definitely would have gone to see the Christmas "show" at the Comcast building and at Macy's. We've done that in previous years, and it's really helped us get in the Christmas spirit! Hoping you have some holiday fun in the next few weeks and wishing you a wonderful holiday season! Happy new school year my friends! I can't believe school is starting already, can you? Summer flew by for us. With a new baby (now 5 months old), going back to work, and just living life, I feel like summer totally got away from me! 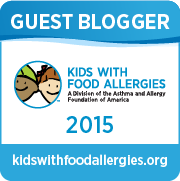 Well, with a new school year, comes a fresh opportunity to get creative with allergy-friendly school lunches! I named this post "Nut Free School Lunches", but really, they're dairy free, egg free, sesame free and of course tree nut free and peanut free -- all of Little Guy's allergens. 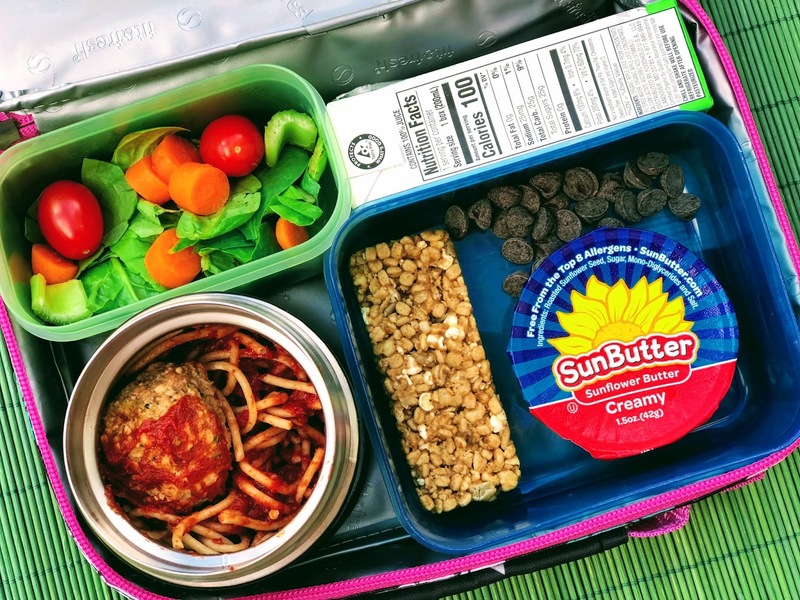 AND there's a fun theme to this lunch post, they're not only nut free and allergy-friendly, but they all include SunButter On the Go Single Cups. 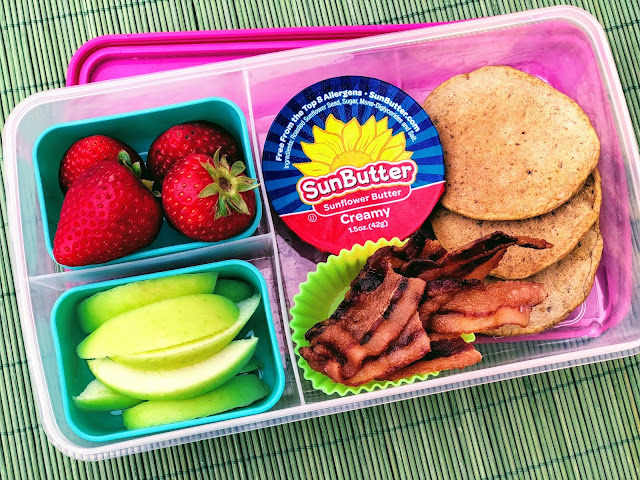 If you've read this blog before, you know we truly eat SunButter every day in our family. We appreciate it as a safe and easy form of protein! I find the SunButter On the Go Single Cups VERY useful for snacks and school lunches. They're easy to pop in a bag and GO (and when you have 3 kids, that's just what you need). Here are our fun 5 New Nut Free School Lunch Ideas. Thanks so much to SunButter for sponsoring this lunch post! This is "snacky" lunch box, filled with fruit, veggies, protein (dairy free cheese and SunButter), and a little fun with the blueberry muffins. The muffins came right out of the freezer. All I had to do with put everything in the box before school! We LOVE breakfast for lunch. Every time I make pancakes, I quadruple the recipe so I have extras to freeze. For school lunches I pop a few small pancakes out of the freezer, and microwave the bacon. My kids don't mind eating bacon OR pancakes cold! In the past I've also warmed up the pancakes slightly and wrapped them in foil. Tip - if you pack gluten free pancakes, they usually need to be warmed before eating since they get a little dry. I just cut up some toasted waffles into strips. They're great to dip in the SunButter with some apples. I also usually put the sausage in a thermos to keep it warm, but it was hard to see in the photo! I also sometimes send a little maple syrup as a treat! There are SO many hot lunch options you can send in a thermos like mac and cheese, chili, soup, etc.. Little Guy loves spaghetti and meatballs. Round it out with salad, and you have a good meal. I also like to send a little something sweet sometimes, and pictured here is a safe granola bar free of all his allergens, to dip in the SunButter...with a few chocolate chips of course! Tip: Fill the thermos with hot water for a minute, then put in the hot food to keep it warm until lunch. And finally, I had to feature my favorite chicken salad in this lunch post. I've been obsessed with it all summer. As a nursing mama, I get VERY hungry, and this is a really healthy and easy form of protein. I make a big batch almost every week by boiling organic chicken, chopping in in the food processor, and mixing it with Veganaise, celery, onions and spices like thyme, parsley and sea salt. Perfect. This is a colorful lunch with a good mix of protein, fruit, veggies, and a little sweet with graham crackers to dip in SunButter! I hope this post helps you think "outside the sandwich" a little bit and inspires fun peanut-free and allergy-friendly lunches for school! What's your favorite nut free lunch to pack and eat!? Mason Jars and SunButter On the Go? Oh my!